Get ready for fall and save money with this home checklist. As a homeowner, it’s important to take care of your home and protect it from the various risks that it faces. As we transition from summer to fall, the threats that your home faces increase drastically. Luckily, you can prepare your home to face these risks and avoid having to pay for expensive damages by taking some preventative measures. Use this fall home checklist to help you get ready. As temperatures drop, it’s important that you take steps to seal up your home to keep the heat in and the water out. Not only will this help you save on your home’s heating costs, but it will also help you avoid expensive water damages. Your home is most susceptible to gaps near windows and doors. Properly weather stripping your windows and doors will ensure that drafts and water do not make their way inside your home. The beginning of fall can usher in wetter, stormier weather. If your roof is damaged or worn down, stormy weather can result in serious damages to the interior and actual structure of your home. 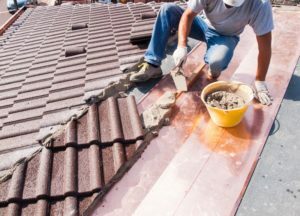 To avoid having to pay for expensive repairs, be proactive and check the status of your roof at the beginning of the season. If you notice that your roof has damaged, loose, or missing shingles, it’s important that you get them replaced as soon as possible. Taking care of these repairs now will ensure that you don’t suffer pricy damages down the line. Finally, be sure to trim any tree branches that hang over your home’s roof, walkways, living areas, or driveways. This will ensure that branches do not cause damage to your home should they swing about or break off in stormy or windy conditions. Taking care of this maintenance task now can prevent costly home damages in the future. These are some of the home maintenance tasks that you should take care of this fall to save some money. Want another way to ensure that your home is ready this fall? Make sure you have the proper homeowners insurance protections in place. For assistance with your coverage needs, contact the team at VGW Walker Insurance in Texas today.